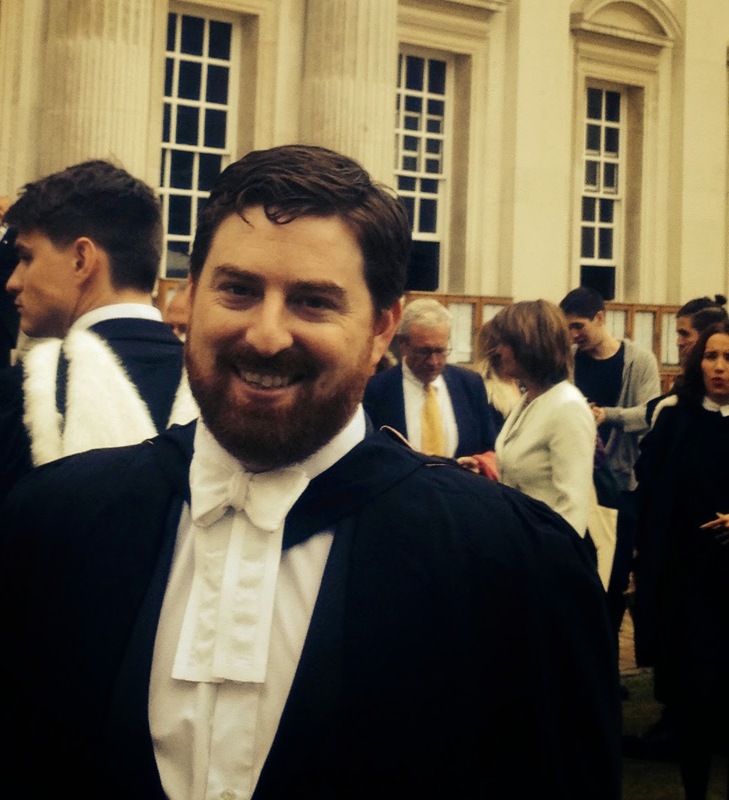 Congratulations to our alumnus Timothy Parker (LLB 2007; PCLL 2008) who recently completed the Cambridge LLM, first class, and was awarded the Whewell Scholarship for international law, one of the world's most prestigious scholarship of its kind. As a student, Parker was an exemplary mooter on successive Jessup international law mooting teams. As a barrister, he has worked on many important human rights and public law cases and has been counsel to the United Nations High Commissioner for Refugees. At Cambridge, he was a student of Hughes Hall, where he is profiled in their latest magazine. In this interview, Parker recounts his experiences at Cambridge and discusses the future. 1. Did your HKU education prepare you for your academic success at Cambridge? While the pedagogical style of the Cambridge law masters is quite different from the HKU LLB programme, the opportunities open to me at HKU undoubtedly helped to prepare me for the challenges of postgraduate study. In particular, the opportunity to write an undergraduate thesis on an international law topic - which I was privileged to do under the supervision of Prof Hurst Hannum - and taking part in the Jessup moot were formative experiences. HKU also boasts a real breadth of public international law courses in which I indulged widely, laying a strong foundation both for practice and for further studies. 2. What courses did you take in the Cambridge LLM? Did you write a dissertation? If so, on what? The papers I took for the LLM were: Settlement of International Disputes, International Environmental Law, Law of the World Trade Organisation, and UK and European Human Rights and Civil Liberties. I wrote a thesis for Settlements. It addressed the jurisdiction of the International Criminal Court (ICC) in situations referred to it by the UN Security Council concerning non-parties to the Rome Statute. The paper argued that the ICC could not exercise jurisdiction retrospectively in respect of situations referred by the Security Council - i.e. it could not try or convict in respect of conduct antecedent to the referring resolution. This posed a difficulty, which the ICC has yet to confront, in respect of the Security Council's referrals of the situations in Sudan (Darfur) and Libya where the 'situations' were temporally defined in the referring resolutions to include antecedent conduct. However, since the statutory crimes departed materially from the pre-existing corpus of customary international criminal law, they could not be imposed retrospectively without violating the prohibition against ex post facto criminal law. This prohibition was a fundamental human right, and the Security Council lacked power under the UN Charter to authorise its breach. The ICC in turn could not derive jurisdiction from a UNSC resolution which had been adopted ultra vires - at least to the extent of the unlawfulness. In any event, the ICC would be bound under the Rome Statute to decline to exercise jurisdiction where it would otherwise violate the rule against retrospective pensliastion. 3. What is the Whewell Scholarship? The Whewell Scholarship in International Law is awarded from time to time to a Cambridge LLM student who excels in any three papers designated as specialist papers in international law, together with the Whewell Paper on "Disputed Points and Problems in International Law". The Whewell Paper sets a number of questions covering a range of international law topics but which generally hint at some broader, structural dilemma. The Whewell Scholarship was established in the will of Dr William Whewell, FRS, FGS (1794-1866), who was Master of Trinity College, to support the study of international law. (This was possibly a curious choice for an academic who regularly published across an astounding array of subjects including ocean tides, mechanics, mathematics, physics, geology, astronomy, and economics - while composing poetry in his spare time). A number of notable international lawyers have been elected to the Whewell Scholarship, include Sir Robert Jennings (former President of the International Court of Justice), Sir Derek Bowett, Sir Arthur Watts, Lord Collins of Mapesbury, and Sir Elihu Lauterpacht QC. 4. What does the Whewell Scholarship entitle you to and do you plan to take up the PhD? The Whewell Scholarship entitles awardees to membership in Trinity College and chambers in Whewell's Court (at ordinary rates) for so long as they remain a member of the University. There is also a modest monetary award. I would like to take up a PhD at some stage if I can find time within practice.